... It's time to improve! WEO Consulting is a total solution IT company who can provide you with everything from consultation and project planning right through to maintenance and online marketing. We like to pride ourselves on being so much more than just a web development company. Our web development services include web application development, custom web development, custom website design and technical support to name but a few. 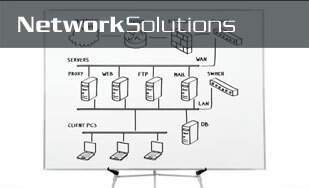 All of them are focused in creating a complete and professional solution that suits client's needs. Together with these services we are also working in the development of mobile applications for the iPhone, Android and Blackberry as the global market turns to the mobile Internet. Due to our strong knowledge and experience in Project Management, WEO Consulting takes a systematic approach towards all projects. Project execution begins by mapping the user-experience, determining what functionalities are necessary and where priorities lie. We feel it's important for a company to envision the complete system from start to end before a single keystroke of code has been made. Specific communication protocols, a precisely mapped objective strategy and explicitly planned implementation play vital roles in the success of large-scale project execution. Once WEO Consulting has clarified requirements with respect to the client's objectives, we work with a company representative to evaluate functional, procedural and financial constraints. At the end of this phase WEO Consulting proposes a comprehensive and precise solution that fits into the client's functional and financial needs. Upon client approval, WEO Consulting will initiate actual project development. This is the first step of the development process. WEO Consulting will elaborate on each previously determined requirement and finalize the precise set of system functionalities. Once the requirements are finalized, WEO Consulting programmers begin programming the system, and our visual designers begin laying out the user interface and any brand identity elements. This is a completely interactive process which requires client feedback at each step of execution. Clients communicate and track project progress. At each step, the client is notified when progress of the current phase is made. Before projects conclude, clients have the opportunity to test the robustness of their new system. If system requires integration with an existing system or data migration, WEO Consulting will strategize the process for efficient execution and/or migration. The WEO Consulting team will deploy the finalized system on a live or closed server (depending on client preference and project requirements) and train the company representative to use both the user interface and the administrative system. Future plans for next-phase development and a maintenance strategy are also decided at the end of this phase. Online marketing consists of two distinct means of driving traffic: paid search and organic search. Both forms are highly effective, measurable, and sustainable, and pay for themselves. We develop all web-based systems to be search-friendly with regards to system architecture, however additional SEO services pertaining to actual content require comprehensive market research and thus, an SEO-specific consultation and subsequent integration. WEO Consulting is made of people who have many years of experience working in the IT industry, specialized in Web Development and Technical Support areas. At WEO Consulting, our vision is to emerge as a technology – driven dynamic organisation, who offer innovative value added services to our customers, thereby strengthening the business day by day and earning the respect of our customers. We believe in the realization of our vision through our inherent values that have provided us with strength right from the outset. 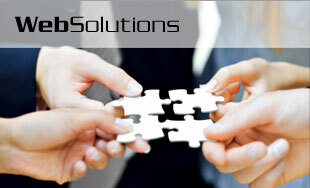 "Your Partner in Technology Solutions". Our philosophy is to always learn and evolve, to bring our clients the highest quality work, the best technology in web developments, applications, graphic designs, and do so in a friendly and professional manner. We invite you to get to know us. We're a refreshing IT firm to work with. Please give us a call and discover us for yourself. Every great endeavor begins with a solid vision. That's why it's of paramount importance for a company to envision its project practically and precisely. We do our part, in turn, by visualizing the product or strategy and effectively conveying it to the client; we integrate applicable technologies to maximize creative synergy. We define our strategies from the project's inception and execute them systematically to make the project's implementation goes as smoothly as possible. 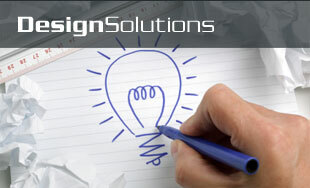 We cater our innovative and practical set of methodologies precisely to your company's needs. Unlike some of our competitors, we truly understand the meaning of customer service. WEO Consulting is committed to providing the finest experience possible to every client. We consider the complete customer experience in every task we undertake. We treat our clients as individuals, with care and respect. We make their priorities our priorities, while striving to find a balance between meeting project goals and deadlines and producing the highest-quality work. At WEO Consulting, we always prefer to develop a custom system rather than use off-the-shelf products or a generic template; this approach gives a unique creative identity to our client's brand. Great design requires great backend programming as well. Custom-developed content management systems, shopping carts, web portals and web applications blend seamlessly with our cutting-edge visual design. Overall, our approach provides an elegant user experience that's designed to capture or convert the target demographic. At WEO Consulting, the prices of projects do not change based on our client's purse strings. That is, it's the required amount of time and resources that drive a project's cost. If we scale back or widen the scope of a project, the price alters. We always remain consistent and fair in our pricing. Our passion for technology continually leads to the development of more efficient methodologies, providing the optimal solutions to our client's needs at the lowest cost possible. Our project execution process eschews formality for more result-driven steps. Clients can communicate with us 24 hours a day, 7 days a week. You can choose any of the communication formats from email, phone, to a face-to-face meeting. We love challenging assignments. If your business requires a niche solution or an advanced use of emerging technology, we're the company you're looking for. If the solution for your needs doesn't exist yet, we're eager to push the envelope to get you to it. Our unique project development process allows our developers to work closely with our consultants, marketing team and business analysts. Systems developed at WEO Consulting always include marketing attributes, usability, and targeted functionality for our clients and their customers. Development-level marketing integration is far less expensive than costly changes and functions better for search engine optimization. Our bottom line is to provide our clients 100% customer satisfaction. We value the relationships that we forge, the gratification of providing highly functional products and services, and a strong ethical approach to business. - Constantly improving and preventing errors from occurring. A completely Free Online Invoicing System was created by WEO Consulting in order to empower small and medium businesses. WEO Consulting has completed the creation of a customized tool for Helpdesk and Project Management. WEO Consulting launches a new product aimed at creating a quality service and additional value, especially for Design companies.